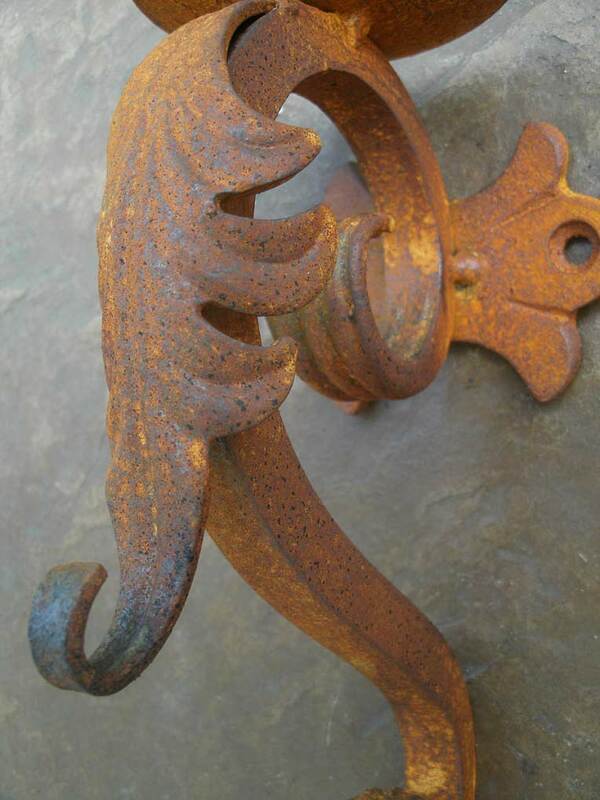 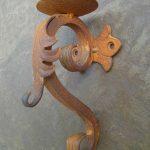 A Small Iron Leaf Candle Sconce that will provide beautiful unique wall decor and atmosphere for any indoor room or outdoor patio setting. 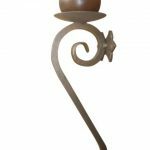 Because making a design statement in decor is important and this small iron leaf wall candle sconce will leave a big impression. 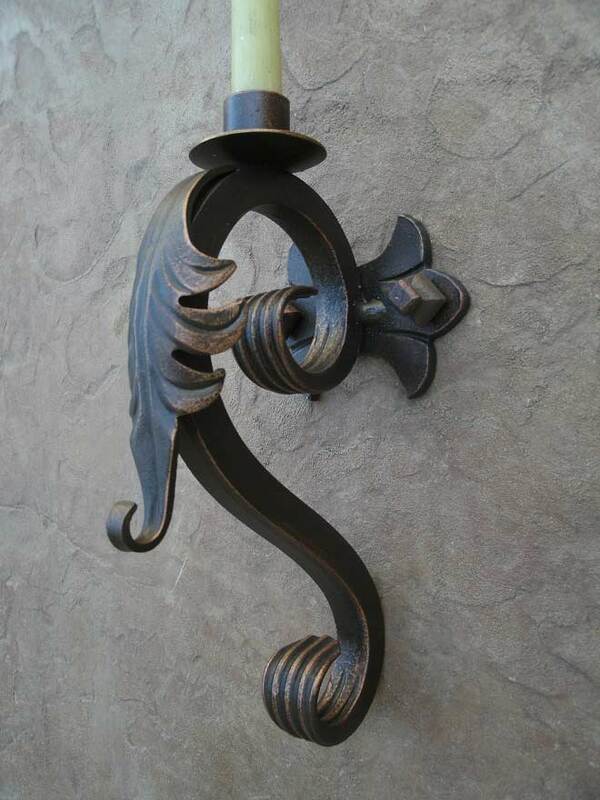 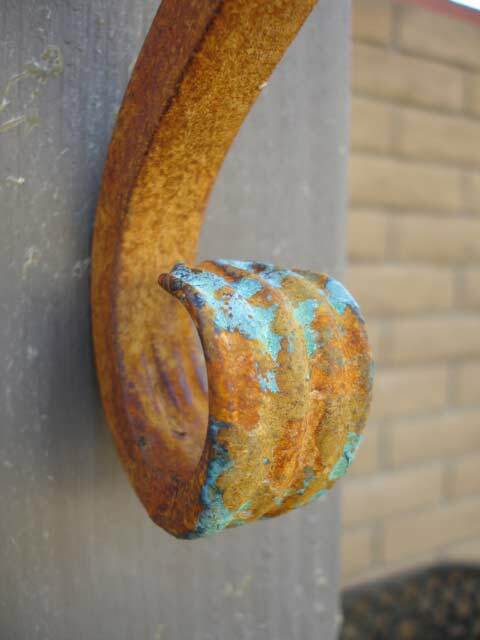 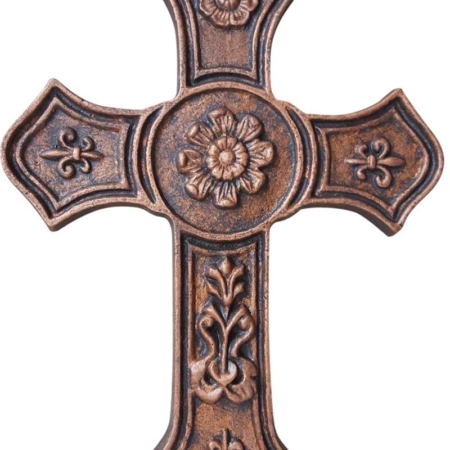 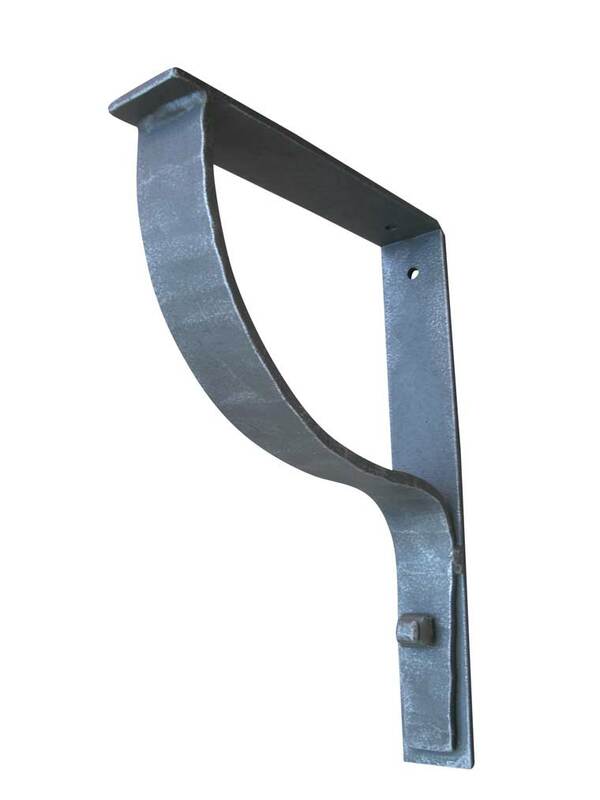 Measuring just 10” long with a depth of 5 ¾”, this beautiful and unique handcrafted iron sconce is ideal for indoor or outdoor use. 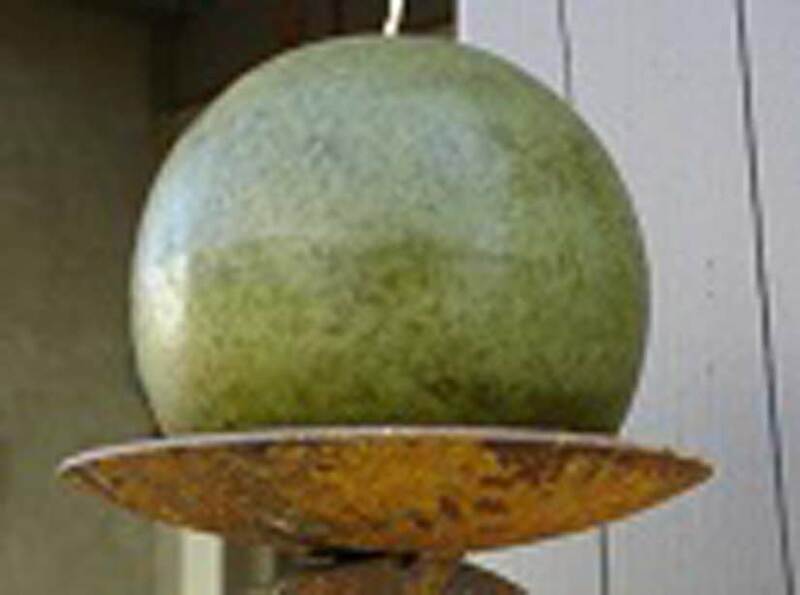 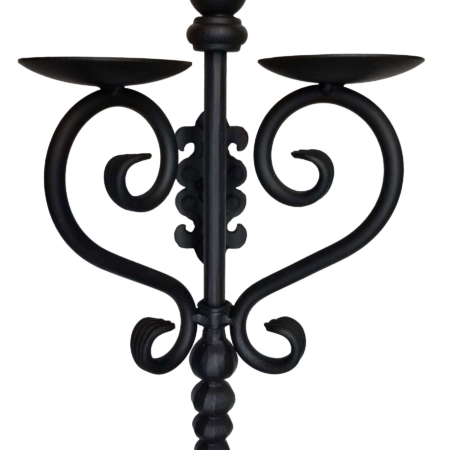 And, it will fit great in areas that do not allow for the larger candle sconces. 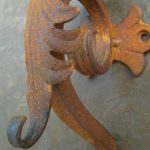 The mounting plate has detail allowing it to truly enhance the overall appearance, therefore, the 2 mounting screws finish the piece adding even more stunning detail. 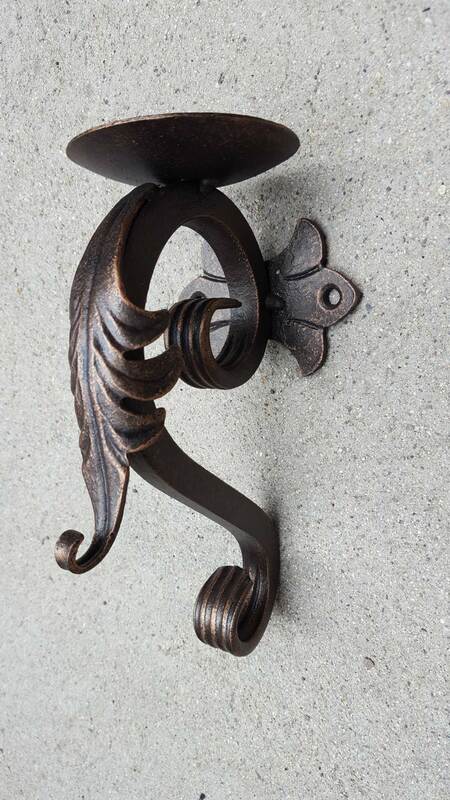 Also, this small leaf Iron Candle Sconce is designed and made in our studio where we take pride in making the best quality candle sconces, therefore, excellence in craftsmanship is of the utmost importance to us. 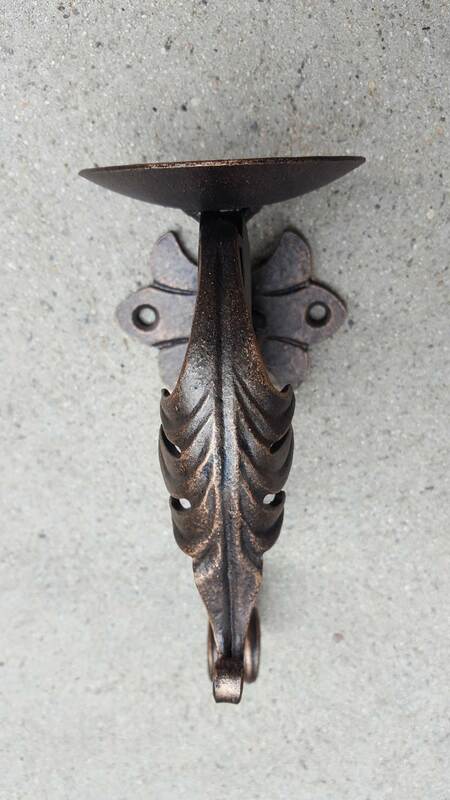 This metal sconce has the weight of iron because it is iron and does not carry the appearance that plastic or cheap metal has. 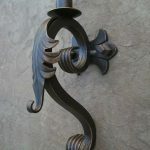 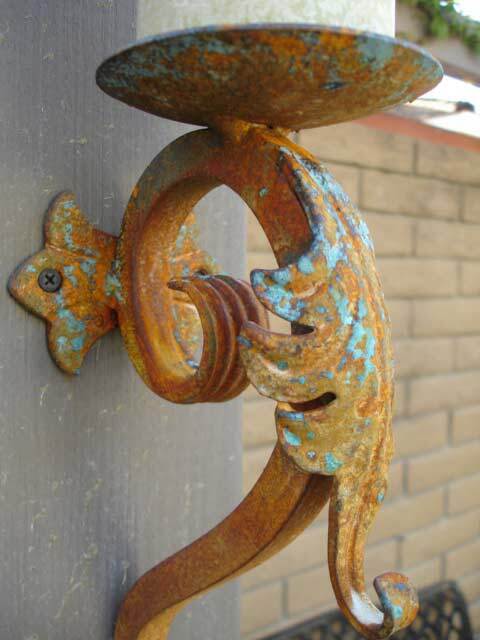 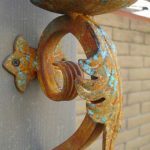 Therefore, our decorative iron screws will be included in your order. 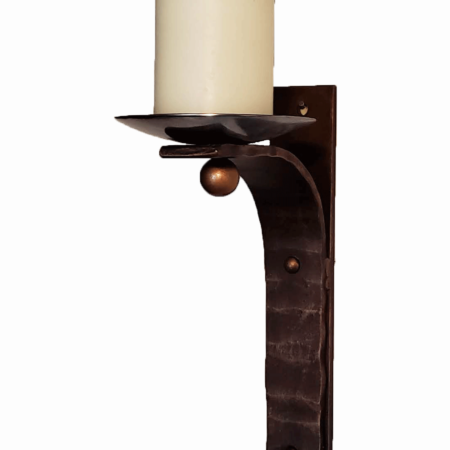 As a result, the overall appearance of the wall hanging candle sconce is stunning. 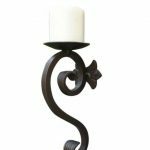 If you are looking for just the right gift for someone special, this candle holder makes a great gift idea. 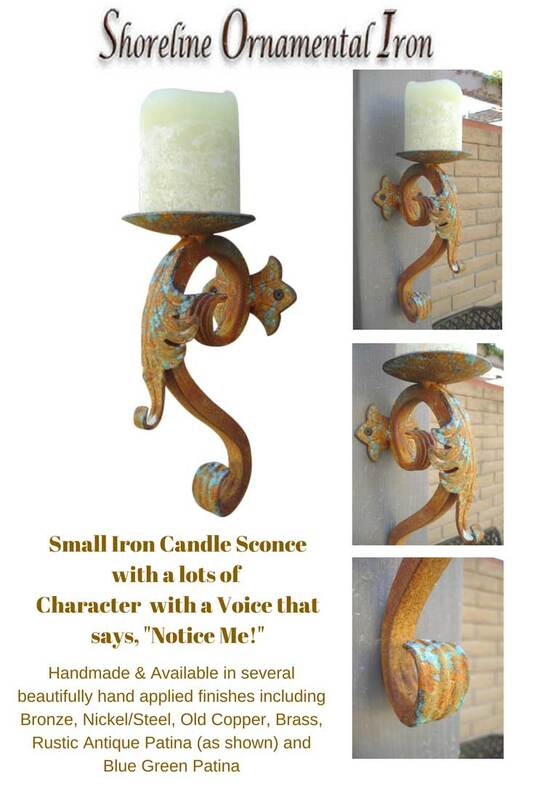 Take advantage of this opportunity to select this quality decorative candle sconce as that perfect gift. 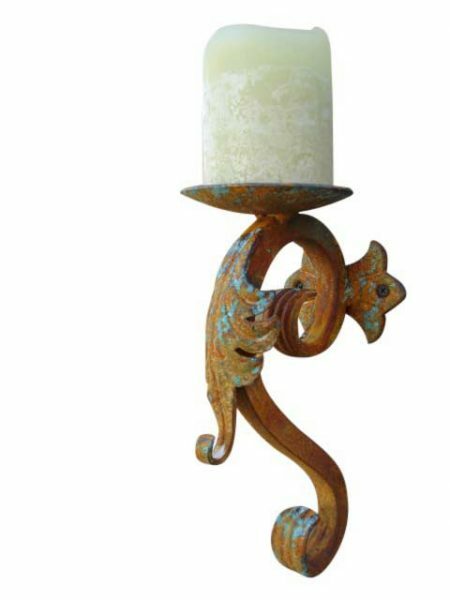 Approximately 14 days to complete and FREE shipping in the U.S.A.
Also, it is wise to have candlelight, in your home, considering that the electricity can go out any time. 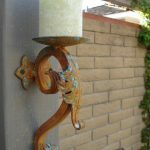 Having a wall hanging candle holder in place is beneficial when that time comes. 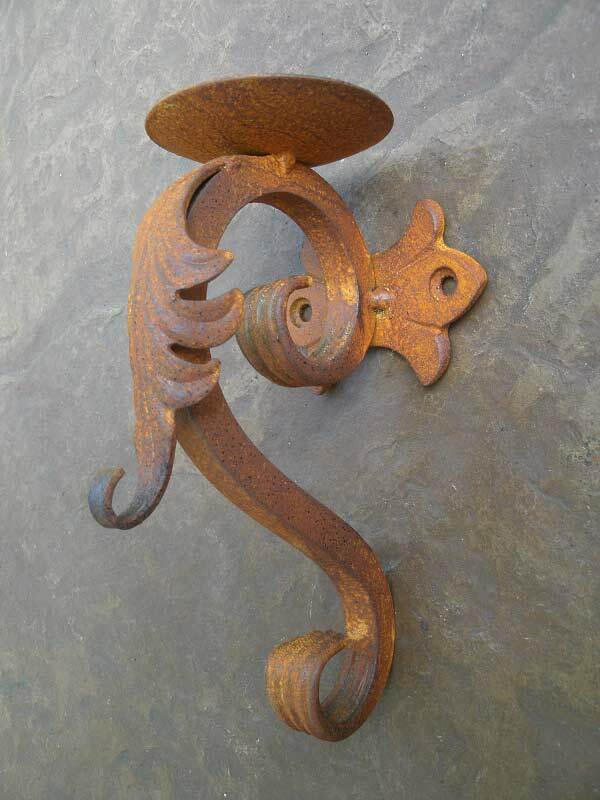 Metal wall candle sconces can serve as an emergency light and also as a decorative feature for your wall. 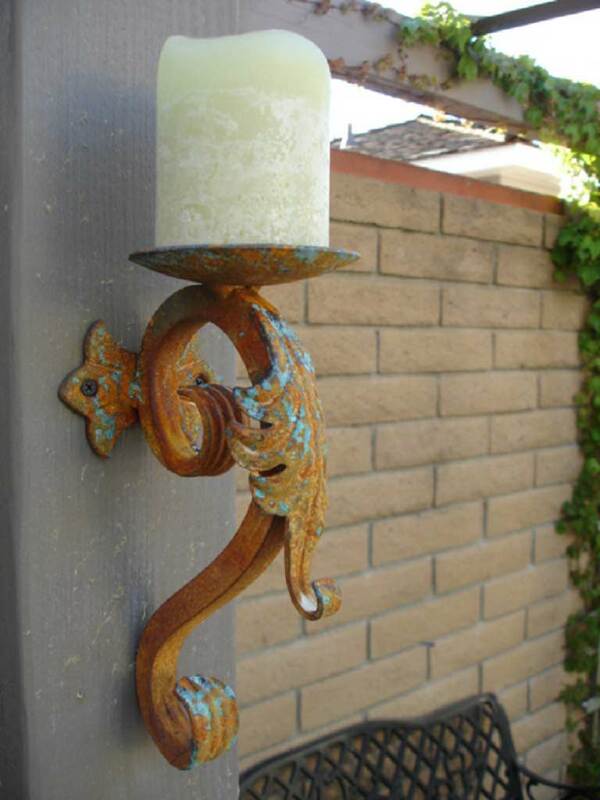 In conclusion, placing burning candles indoors or outdoors bear a risk, so always consider safety first. 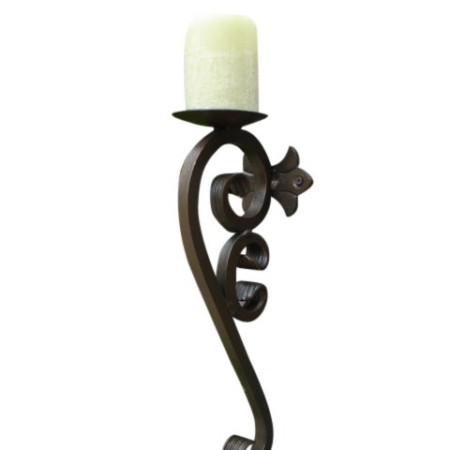 Battery operated candles are a great idea for use on wall mounted candle holders. 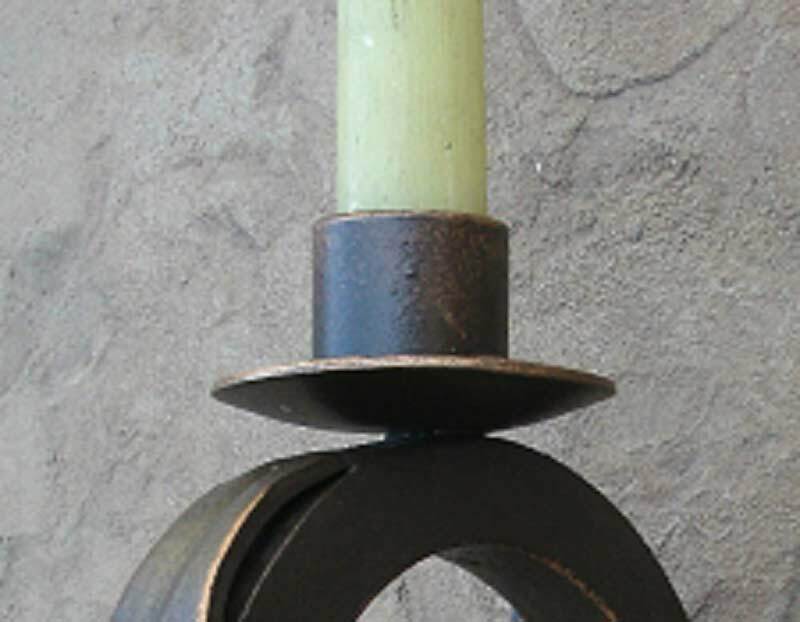 Battery candles are safe, easy to use, come in a variety of sizes. 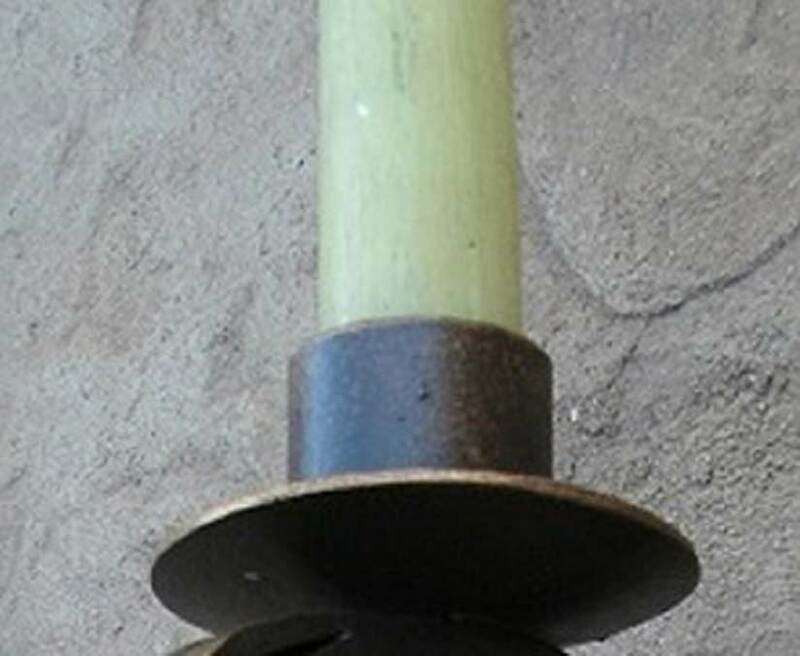 Companies make battery candles with timers allowing them to turn on and off. 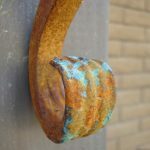 DELIVERY TIME: PLEASE ALLOW 2 TO 4 WEEKS FOR DELIVERY!